Hopefully, David Chidester will not allow himself to be made into the fall guy by Overstock.com (NASDAQ: OSTK) and its CEO Patrick Byrne and as the Securities and Exchange Commission continues its investigation of the company. David Chidester is certainly now in the "hot seat." As I will detail below, David Chidester was a ten year veteran insider at Overstock.com. Chidester certainly knows where the black holes are to be found in Overstock.com's financial reporting. He is sure to face tough questioning by the SEC as its investigation expands. During Chidester's tenure as CFO, every single initial financial report for every reporting period issued by Overstock.com from the company's inception to date has violated Generally Accepted Accounting Principles (GAAP) and other SEC disclosure rules. Overstock.com restated its financial reports two times due to accounting errors. In February 2006, Overstock.com restated its financial reports from Q1 2002 to Q3 2005 due to inventory accounting errors. In February 2006, the SEC Division of Corporation Finance discovered that Overstock.com's revenue accounting violated Generally Accepted Accounting Principles (GAAP) since the company's inception. In October 2008, Overstock.com restated its financial reports from Q1 2003 to Q3 2008 due to customer refund and credit errors. It was the second time in two years that Overstock.com had to restate its financial reports due to accounting errors. From Q2 2007 to Q2 2008 Overstock.com violated SEC Regulation G by using an improper EBITDA calculation that materially overstated it financial performance. When I confronted management about its improper EBITDA calculations, Patrick Byrne, Jonathan Johnson, and David Chidester lied about the company's compliance with SEC Regulation G during quarterly conference calls. In Q3 2008, Overstock.com finally corrected its improper EBITDA calculation by calling it "adjusted EBITDA" when it restated financial reports and amended its filings with the SEC to correct certain GAAP violations involving customer refund and credit errors described above (Details here). 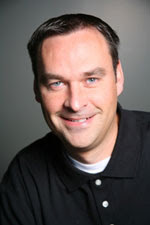 In January 2009 David Chidester was replaced by Steve Chesnut as CFO and was moved to the postion of Senior Vice President Internal Reporting and Information. In addition, Grant Thornton replaced PricewaterhouseCoopers as Overstock.com's auditors. In September 2009, the SEC Enforcement Division started investigating Overstock.com after reports in this blog detailed how the company used an improper "cookie jar" reserve to material inflate its financial performance from Q4 2008 to Q3 2009. In November 2009, Overstock.com fired Grant Thornton after new accounting errors were uncovered during a separate probe by the SEC Division of Corporation Finance. Grant Thornton wanted Overstock.com to restate its financial reports, like I have called for in my blog. Instead, Overstock.com fired Grant Thornton and filed an unreviewed Q3 2009 10-Q report. On December 23, 2009, Overstock.com hired KPMG to replace Grant Thornton. On January 19, 2010, The Big Money published an article by investigative reporter Roddy Boyd that exposed how Overstock.com purposely withheld information from investors during 2005 and 2006 about its inadequate internal controls and engaged in a New York State sales tax dodge scheme known as "Operation Heist and Freeze." My separate examination of Overstock.com's SEC filings found that CEO Patrick Byrne and CFO David Chidester both signed Sarbanes-Oxley certifications for financial reports claiming that the company had effective internal controls over financial reporting, while internal company documents obtained by The Big Money contradict their representations to investors. Those same financial reports that were certified by Byrne and Chidester were later restated two times: in February 2006 due to inventory accounting errors and in October 2008 due to customer refund and credit errors. Apparently, both Byrne and Chidester signed Sarbanes-Oxley certifications that were knowingly false. The SEC is certainly going to expand its investigation to include false filings to investors by Byrne and Chidester. In addition, Overstock.com faces an investigation by the New York State Department of Corporation Finance for its sales tax dodge scheme reported by Boyd and known inside the company as "Operation Heist and Freeze." On January 20, 2010 Mr. David K. Chidester left by mutual agreement, effective immediately, from his position as Senior Vice President, Internal Reporting and Information, of Overstock.com, Inc. (the “Company”). Unlike other departures of key insiders, there were no words of praise for Chidester from Byrne or the company. Apparently, the term "mutual agreement" means that Overstock.com does not want David Chidester to be readily available to KPMG during the year-end audit and Chidester does not want to be readily available to respond to KMPG's inquiries while an SEC investigation of Overstock.com is going on. Perhaps Overstock.com is taking the "ignorance is bliss" approach to dealing with KPMG, its new auditors. Current CFO Steve Chesnut, who joined the company in January 2009, was not around during most of the improprieties being investigated by the SEC. While Patrick Byrne does not want Chidester, who knows where the bodies are buried, to stay around. In September 2009, the SEC also subpoenaed Overstock.com for documents related to those two prior restatements in 2006 and 2008 before Roddy Boyd broke his damning article. In June 2008, the SEC concluded an earlier investigation of Overstock.com and took no enforcement action against the company. In that earlier investigation, the SEC subpoenaed documents relating to Overstock.com's 2006 restatement of financial reports. Therefore, the SEC is taking a second look at Overstock.com's 2006 restatement of its financial reports. Was the SEC tipped off by an insider with personal knowledge of black holes in Overstock.com's financial reporting? In any case, it's reasonable to assume that the SEC believes that Overstock.com's management "pulled the wool over their eyes" in its earlier investigation of the company. While David Chidester certainly has personal knowledge of improprieties at Overstock.com, I view him as a weak minded follower and not a leader type. According my sources, Chidester is "yes man" who eagerly catered to the whims of his ego centric boss Patrick Byrne. Therefore, investigators will probably put Chidester under tough scrutiny and enormous pressure in order to get him to cooperate and provide testimony implicating Byrne and others. I personally think it's just a matter of time before Chidester cuts a deal. How long is anyone's guess. KPMG has sponsored at least two of my free speaking engagements to universities and colleges.